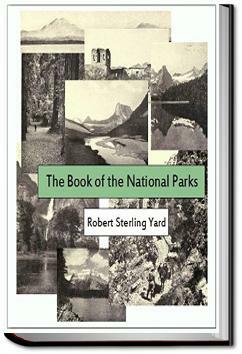 Robert Sterling Yard was an American writer, journalist, and wilderness activist. Born in Haverstraw, New York, Yard graduated from Princeton University and spent the first twenty years of his career in the editing and publishing business. In 1915, he was recruited by his friend Stephen Mather to help publicize the need for an independent national park agency. Their numerous publications were part of a movement that resulted in legislative support for a National Park Service (NPS) in 1916. Yard worked to promote the national parks as well as educate Americans about their use. Creating high standards based on aesthetic ideals for park selection, he also opposed commercialism and industrialization of what he called "America's masterpieces". In 1935, he became one of the eight founding members of The Wilderness Society and acted as its first president from 1937 until his death eight years later. Yard is now considered an important figure in the modern wilderness movement. . . .June. Thereafter a dark perpendicular stain on the cliff marks its position. Another minor fall, this from the south rim, is that of Sentinel Creek. It is seen from the road at the right of Sentinel Rock, dropping five hundred feet in one leap of several which aggregate two thousand feet. Next in progress come Yosemite Falls, loftiest by far in the world, a spectacle of sublimity. These falls divide with Half Dome the honors of the upper Valley. The tremendous plunge of the Upper Fall, and the magnificence of the two falls in apparent near continuation as seen from the principal points of elevation on the valley floor, form a spectacle of extraordinary distinction. They vie with Yosemite's two great rocks, El Capitan and Half Dome, for leadership among the individual scenic features of the continent.